Like most children T loves role-play, he loves nothing more than to play shops and get his IKEA market stall out to play. We even create little activities through role play, like this shopping labels learning activity. 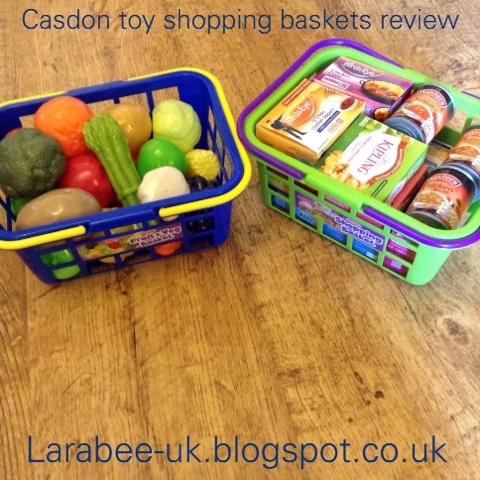 When we were asked to review these casdon shopping baskets and toy foods I jumped at the chance because I knew they'd go down very well with T.
We were lucky to be sent 2 shopping baskets, 1 filled with fruit and vegetables and 1 with lovely little grocery boxes and cans. Aimed at 3-8 year olds, there are no small parts or choking hazards and younger children could probably enjoy the fruit and veg just as much as older. The fruit and veg were easily recognisable, I've seen some in the past whose colours were not accurate and shapes a little obscure, these were brightly coloured, in the correct colour, durable and pretty well made. 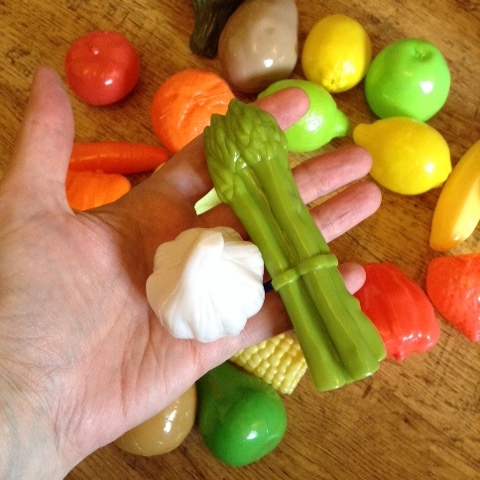 What I particularly like about the fruit and veg is that there are also some more unusual items, such as garlic, asparagus and corn on the cob. I think it's great for children who haven't had much exposure to them and for us, has led to conversations in the supermarket and spotting the veg in his toy basket. 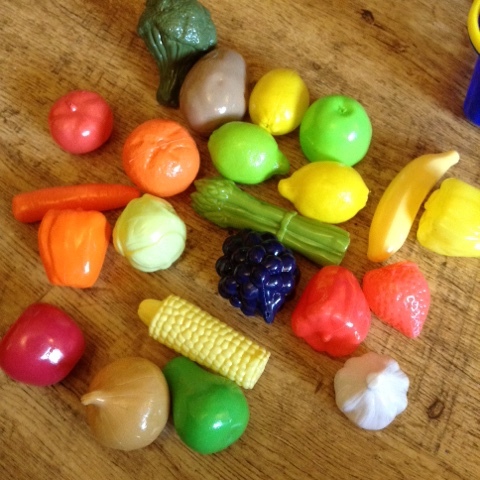 They've also been played with in the bath and paddling pool, standing up to both the sunshine outside and the heat of the bath which does make our cheaper plastic veg become very soft and squidgy. The second basket was filled to the brim of branded groceries, I love that they are exact replicas of the full sized versions. They are made of sturdy cardboard and i imagine withstand a fair bit of play before they become tatty so they would be great for child carers and nurseries as well as at home. The shopping baskets themselves are made of durable plastic which should hold up well to many hours of play. They can be purchased at many retailers, see details here. Whilst they are a little bit more expensive than some supermarket brands I've seen, they do look better quality and I personally think, worth that little bit extra. 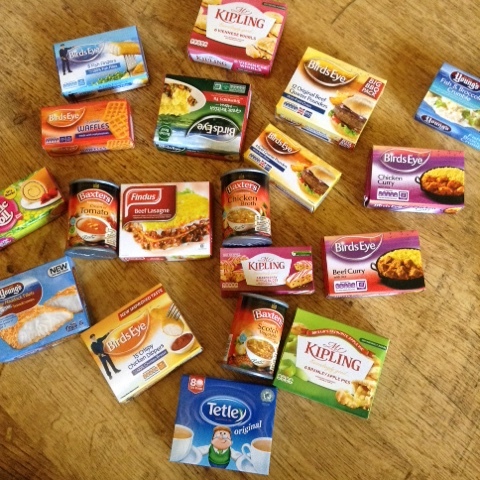 Disclaimer: we were sent these items free of charge in exchange for our honest review. Oh yes, my son would have fun with these!